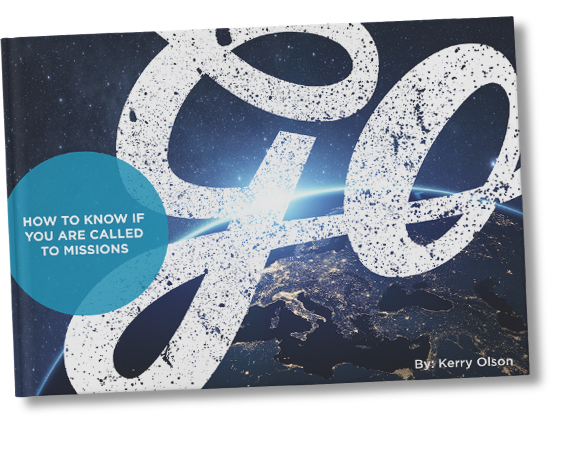 One of the most frequent questions asked related to missions is, how do I know that I am called? While there are many ways in which God leads and guides his people into world missions, there have been two classic answers that people tend to give; “You don’t need a call because He has already called you” and “You better know God has called you before you go.” I believe a combination of both is necessary. On one side of the coin, you have the often quoted line from the late singer Keith Green, who stated that “You don’t need a call, you’re already called!” Another person has stated that “You don’t need a call when you have a verse” referring to the multitude of bible verses in the Old and New Testament that form part of God’s revealed will (the Great Commission) that we go to all nations and preach the gospel. Keith Green had to go to the extreme end of the spectrum to balance out the Church that emphasized a need for a special revelation or manifestation to go to the mission field. Think for a minute, what the world would look like today if every Christian literally embraced God’s command to ‘go’ and sincerely said to God, “I am going to the nations to preach the gospel… If it’s not your will for me to go, stop me!” I can hear many of you saying “that’s too radical and extreme!” Yet to be truthful, we have gone to the other extreme, not bearing the spiritual fruit I believe the Holy Spirit desires. I believe that as we get to know God’s character and study His Word, it becomes impossible NOT to know His will! We cannot be moved by a message that does not move us first; therefore it is vital and necessary to understand God’s global plan and what he desires for his Church. Understanding where we fit in this plan is another thing altogether and the best way to describe this, in my opinion, is that it is a process. Did you know you can earn your degree while doing missions? God uses those who are actively serving him and step out in faith testing the waters to discover what he has. Be in movement. Start knocking on doors to see which one he might be opening. If you really have a servant’s heart, you will be willing to serve in any capacity. God will place specific desires in your heart, but don’t rush to push open the door yourself. Serve, and in the process of serving God will open the door for you and he does a much better job of it! Before thinking about going out full time, get some short-term cross-cultural experiences under your belt and better yet, mission training. Where you serve short term may or may not be an indicator of where God wants to send you long term. Be open to his leading. The call of God is something that grows on you. Many missionaries testify that when they began sensing God calling them to Thailand, for example, that everywhere they turned they saw something relating to Thailand. They turned on the TV, Thailand!… They opened the newspaper, Thailand!… They attended a conference and sat next to someone from Thailand! God specializes in this and we need to be in tune with how he is leading. Perhaps you have not yet identified God’s will for your life, get closer to him, ask him what he has for you, search your own heart to make sure you have correct motives. Put into practice the steps listed above and don’t forget it’s all about being connected to Him. Kerry Olson serves with Bethany International as an International Project Coordinator. He also trains, mobilizes, and sends out Latin American servant-leaders to the worlds least reached peoples.